…had to do with his conduct of the Clinton e-mail investigation, and Strzok’s failure to run out all of its ground balls. Last night during a Fox News appearance Rep. Louie Gohmert (R-Texas), who put on the biggest show of the entire Strzok hearing circus when he referenced Strzok’s extramarital affair with colleague Lisa Page which was the source of all of those embarrassing text messages on Strzok’s government-issued phone calling into question his impartiality, said he was sorry for the fireworks which ensued because they obscured something real which came out of the hearing. If you’ll remember, when former FBI director James Comey (who was Strzok’s boss) conducted his media tour exonerating Clinton for the e-mail scandal, one of the assertions Comey made was that there was no evidence those e-mails on that private server had been accessed or that U.S. national security had been compromised. That was an assertion which would have to be made were there to be any hope of maintaining the government’s position that Clinton’s conduct wasn’t prosecutable. The Espionage Act provision under which Clinton should have been indicted for her shoddy handling of classified information calls for gross negligence, rather than willful conduct, as the standard; Strzok and Comey concocted a description of “extreme carelessness” surrounding the operation of that private server. The only way that semantic, yet highly consequential, difference could survive is with an assertion that no harm was done. But based on the ICIG’s findings it’s quite difficult to say no harm was done. A foreign entity, not Russia (China or Pakistan would be decent candidates) was able to gain access to American state secrets because of Clinton’s decision to leave documents unprotected. And Strzok, who spent the entire day yesterday claiming that his vituperative anti-Trump exchanges with Page were irrelevant because his actions in conducting those investigations of Clinton’s e-mails and the Trump-Russia business were “without bias,” was flat-out lying. He can’t say that the record indicates his conduct met a high standard, not when he had available to him evidence of harm in the Clinton e-mail matter and did nothing about it. Gohmert extracted this information, but couldn’t exploit it because he lost his cool and ripped into Strzok over the extramarital affair. 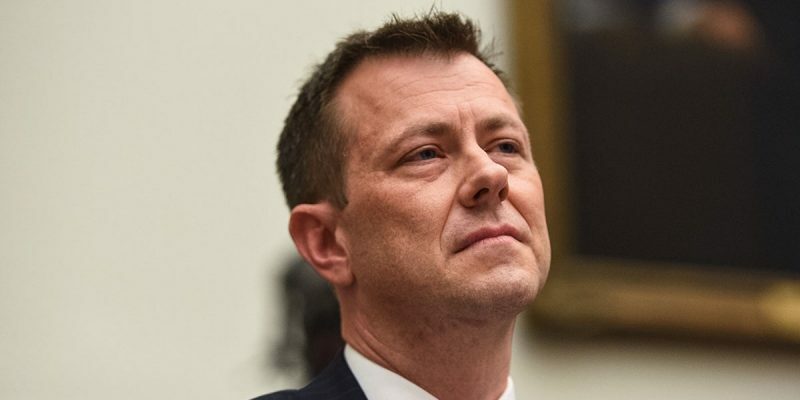 That’s unfortunate, if to some degree excusable – Strzok did spend the entire day posing as a man of integrity and honesty, when all the while what underlay his testimony was the fact that he was a philanderer lying to the person he was closest to on the planet. That should have been enough to set any red-blooded member of that committee to apoplexy; it certainly did to Gohmert.